Charles Reid has long been considered a master of the medium of watercolour. 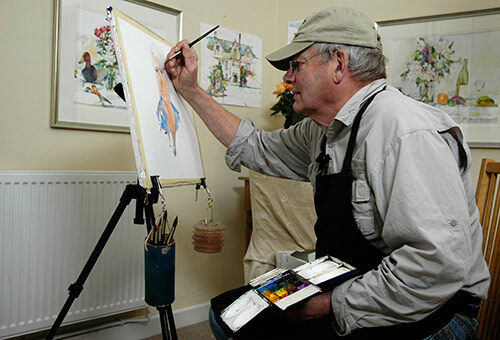 His paintings are fresh and spontaneous, displaying his profound understanding of light and colour and expert drawing ability. His figures are beautifully rendered, in a simple, direct and natural manner that reveals his interest in painting the light as much as the person. Charles studied at the University of Vermont and the Art Students League in New York. He is a member of many prestigious organisations including the National Academy of Design and has won numerous awards. His paintings are in private and public collections throughout the world and he is an extremely successful author and teacher.